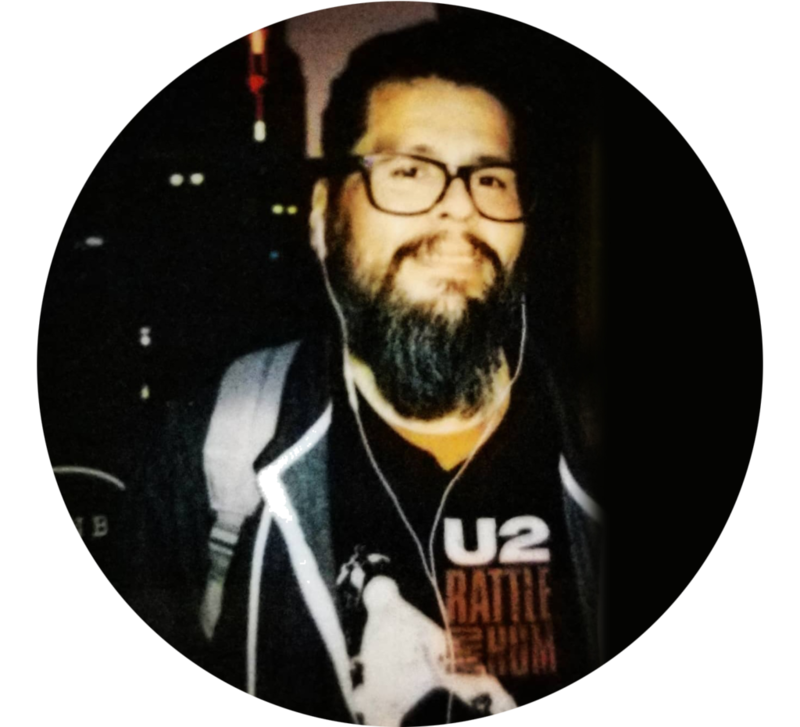 Award-winning sound designer Robert Ramirez has worked on Family Guy, American Dad, Arrow, and Titans among many other titles. We caught up with him to find out about his background, work, techniques and how he used the Krotos Weaponiser and Dehumaniser 2 plug-ins in Arrow and Titans. Robert Ramirez’s obsession for sound design began in his early childhood. He remembers a visit to the laundromat, where the TV in the background played a short special on Ben Burtt, which was when Ramirez learned he was the creator of the sounds in his favourite movies. His father worked as a janitor at Stanford University Hospital, sometimes finding discarded old tape recorders and other sound equipment that he could salvage to bring home for Robert. Robert began to find opportunities to work in sound while growing up in the church, and by age 14, he was already helping mix the services and music performances. Fast forward a few years, and Robert has been nominated for a few Emmy Awards and won several Golden Reel Awards. But what’s been the secret to his success? Throughout his career so far, Robert has worked on a huge variety of projects at Warner Brothers, DC Comics and 20th Century Fox. “I have to say I am grateful to Mike Lawshe (Sound Supervisor) for bringing me on to design DC Comics’ Arrow, available on Netflix. It is the main show I’m currently working on. It never gets boring. With new villains and heroes over the past seven years, there’s always new opportunities for creativity. I also had a chance fairly recently to help out with Titans on the DC Universe streaming network (also on Netflix). Very grateful to Peter Lago (Sound Designer) and Charlie Crutcher (Sound Supervisor) for letting me help out on it. These superhero comic book shows are really fun to work on. I’m lucky to have Todd Beckett as the Sound Effects Re-recording Mixer. He does great work with Dan Hiland, the dialogue mixer. While at Technicolor, Robert worked on Family Guy, which taught him a lot about specialising in sound design for comedy, and his work there also won him a Golden Reel. “One thing I find frustrating is when you are looking through a library and they have like 12 impacts or whatever the recording is. But, for some reason, only one of the impacts sounds how you want it to. I oftentimes will take that one clip and repeat it like 15 times. Then I run it through sound shifter or other pitch and time plug-ins, barely changing the parameters until they all sound slightly different. It helps so it doesn’t have a machine gun effect. The other thing I do is I use a lot of music plugins or software. “My first impression was that it felt like Merlin had started making sound design plugins. I have used Dehumaniser 2 some, but on Arrow, I mainly used Weaponiser because it has a lot of machine gun and gun battles, so for all the background character guns I will print the bounced single file. For the close-up or main characters, I like to use it to make elements of their weapons so I can create a library for each character’s guns. Once I got Weaponiser, any new character with a gun will go through that process. I also use Reformer from time to time and used it to make some tazer sounds in Titans. I made a library of electric shocking sounds and was able to perform it to picture. These stun batons were used for torture when a static tazer file wasn’t going to do it justice. By performing it, I was able to make it seem like the actor was reacting to the fluctuations in the sound design. Technology is always changing and evolving, so we wanted to know how Robert sees the future of sound design, and whether it’s affected his work. “It’s an exciting time. I see the tech changing a lot. But, the core of the art is staying the same. I think it’s important that people learn about how sound design stimulates and affects a scene, especially now where anyone with a laptop has access to more tools than the pioneers did in their early stages. I hear a lot of people trying to make things sound cool. It’s almost like the loudness wars of the music industry, but it’s the coolness wars for sound design where people are trying to make you say wow. But, is it what the scene called for? That’s the aspect of Sound Design that requires a person. “That’s hard to say. With fast internet access available today, I’m not sure if companies have as many runner positions needed as when I started. Keep an eye out for opportunities and be prepared. Don’t expect people to wait for you to catch up. I’d be wary of articles or YouTube videos where a professional says that your equipment doesn’t matter. Believe me, it matters. Not having the correct or highest caliber gear shouldn’t stop you from pursuing the field. But the software and gear you use make a big difference. It’s easy to say it doesn’t matter once you have access to it. You should work hard at any job and save up. You will slowly acquire what you need. Also, be careful with following the advice of novices on YouTube or the internet. They are good to spark ideas but they usually get the details wrong about how to deliver materials to the dubstage etc. Let’s put it this way. You’re not going to be able to deliver your tracks in Reaper at any reputable facility. Not yet. I would avoid going into debt for school. Unless, you are certain they have a placement program and good connections in the industry. You’d be paying for that perk more than anything. And no matter how stellar a student you were, do not expect to land a great sound design position. I’d imagine you still have to earn your stripes to get into the union. Lastly, do not stumble into sound design because some article says that it’s easy to repurpose the investment you made in your music gear by getting into sound for post or gaming. Yes, it’s similar and requires many of the same skills, but it also requires long hours and an unfathomable commitment. You can easily burn out if you’re only doing this because a music career didn’t work out for you. Mostly, you have to make sure you genuinely love it.